David and Charlotte Bailey have taken the street market scene by storm with their vibrant, healthy vegetarian and vegan cuisine. Their food is all about maximizing the potential and flavor of plant-based ingredients. Discover enticing egg- and dairy-free dishes from regions such as Asia and India, as well as innovative twists on Spanish tapas, Middle Eastern mezze, Chinese dim sum, and more. This collection of recipes includes Thai Coconut Curry, Israeli Chickpea Pancakes, Moroccan Vegetable Patties, and Chinese Tofu Rolls. You can even treat yourself to mouthwatering sweet treats and make classic desserts, from Pineapple and Coconut Cheesecake to Chocolate Mousse. Includes dual measures. "Think you ll never be able to make the switch to vegan? This beautiful book might persuade you otherwise." 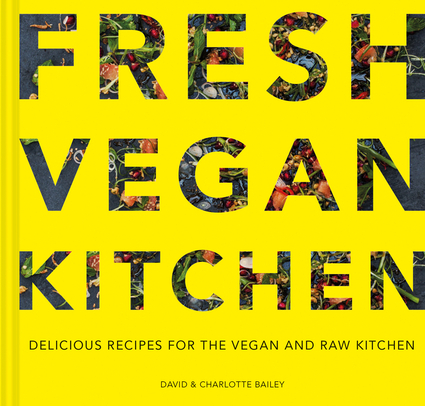 —Cook Vegetarian magazine, "Cookbook of the Month"
David and Charlotte Bailey run Wholefood Heaven, a food truck, which won Best Main Dish at the British Street Food Awards for their Buddha Bowl.